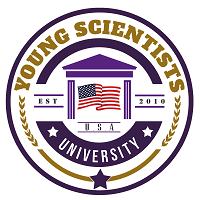 Young Scientists University recognizes certain rights of eligible students regarding students’ educational records, as provided in this policy. 5. confidential letters and statements of recommendation for admission, employment or other recognition for which students have voluntarily waived their right of access. B. “Eligible Student” means an individual who is or was enrolled as a student of the University and regarding whom the University maintains educational records. Applicants who are not admitted as students are not eligible students. C. “Legitimate Educational Interest” means the demonstrated need to know by those officials of the University who act in the student’s educational interest, including faculty, administration, clerical and professional employees, and other persons who manage student record information. D. “Directory Information” means information so designated by the University which reasonably would not be considered harmful or an invasion of privacy if disclosed, including a student’s name, address (local and home), telephone number (local and home), date and place of birth, participation in officially recognized activities and sports, weight and height-of members of athletic teams, major field of study, dates of attendance, and degrees, awards and academic recognitions. A. to inspect and review the student’s educational records maintained by the University. The University is not required to furnish copies of such records unless they are unreasonably difficult to inspect personally, in which case the University reserves the right to charge a reasonable fee for such copies. B. to request in writing that the University correct educational records believed to be inaccurate or misleading. If the records custodian refuses, the student or parent may request a review by the provost or appropriate vice president after which, if University still refuses, the student or parent has a right to place a statement in the student’s record commenting on the contested information. The right to challenge grades does not apply under this policy unless the assigned grade was inaccurately recorded. III. GENERAL RULES OF NON-DISCLOSURE; EXCEPTIONS. B. A student may request that the University not release directory information by completing and signing the appropriate form provided by the Office of Communication Services. IV. CUSTODIANS OF EDUCATIONAL RECORDS. Student records are maintained by the University offices which are subject to the terms of this policy, including record-keeping requirements. Each custodial office is restricted to providing only the information over which it has primary responsibility. Information properly provided may be accompanied by explanatory material whenever its meaning or interpretation is not readily apparent to potential users.